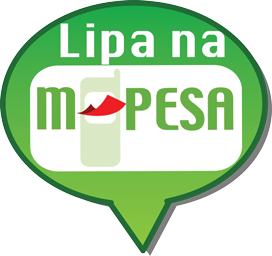 An innovative mobile health management system, ZiDi, which provides essential data to improve maternal and child care has been awarded a Kshs 8.6 million (US $ 100,000) prize in the first GSK and Save the Children $ 1 million Healthcare Innovation Award. ZiDi, developed by MicroClinic Technologies, is designed to tackle the quality of maternal and child healthcare by facilitating the diagnosis and treatment of common diseases that affect women and children. The system is able to monitor service utilization and consumption of vaccines and all essential drugs and accurately forecast the potential demand for over 5,000 health facilities in Kenya. MicroClinic Technologies was awarded the funds by the partnership to further develop the system for larger health facilities. A judging panel of experts from the fields of public health and development1, co-chaired by Sir Andrew Witty, CEO of GSK, and Justin Forsyth, Chief Executive of Save the Children, which included Professor Oyewale Tomori, Professor of Virology and President of the Nigerian Academy of Science, were impressed with the use of technology to address child health issues in Kenya. The system tracks every drug or supply consumed, forecasts demand and automates ordering of essential medicines and supplies from the suppliers, notably, the Kenya Medical Supply Authority (KEMSA). This will prevent losses as well as protect consumers from counterfeit drugs. “Automating services in the public health sector is a priority for the Government of Kenya and ZiDi™ would not realize its potential without the support from the Ministry of Health and partners, notably the Kenya Medical Supply Authority (KEMSA) and Microsoft 4Africa, for which we are grateful. This award underscores the importance of innovative and affordable information communication technology at the point of service delivery,” said Moka Lantum, Managing Partner and CTO, MicroClinic Technologies. ZiDi was successfully piloted in Kisumu County, Kenya and has been adopted by the Ministry of Health for use in over 5,000 health facilities in Kenya, starting in 2014. It was recognised for its innovative and bold m-health approach that promises to increase efficiency and improve decision making in facilities that serve the bottom of the pyramid. The winning project – who got the highest allocation of the of the US $ 1 million kitty – was Malawi’s bCAP developed by Friends of Sick Children which was awarded US $ 400,000. Their winning project – bCAP or ‘bubble’ Continuous Positive Airway Pressure ‘bCPAP’ device – is a low-cost adaptation of a device proven to help newborn babies with respiratory distress, designed specifically for low-resource settings. The low-cost adaptation of traditional CPAP devices can be produced for around $400 – a 15-fold reduction from the average cost of devices currently used in developed countries. bCPAP is being implemented in neonatal units across Malawi in partnership with the Ministry of Health. Award money will be used to support further expansion of the low-cost technology and associated training programmes to Tanzania, Zambia and South Africa. It is estimate that bCAP could prevent 178,000 early neonatal deaths per year in Africa, where nearly one million babies die every year within a week of birth. BRAC – from Bangladesh – was awarded US $ 300,000 for the ‘Manoshi’ programme which delivers a comprehensive package of health services for women and children in the urban slums of Dhaka while Mali’s MUSO got US $ 100,000 for focus on a community-level system designed to support the early identification of women and children in need of healthcare, before their symptoms escalate to a more serious condition. The other winner was Kangaroo Foundation (from Columbia) which also got US $ 100,000 in special recognition of their long-term Kangaroo Mother Care programme which promotes early skin-to-skin contact between mothers and their premature and newborn babies.